In order to promote enthusiasm for plant design, CAD Schroer is offering free licenses of its MPDS4 Plant Design system to engineering students, researchers and lecturers. 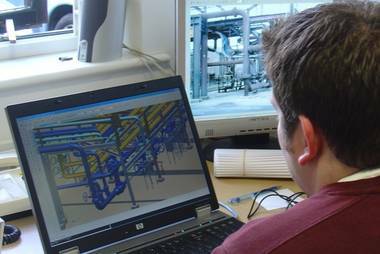 CAD Schroer, the global engineering solutions provider, today announced its support program for universities, research institutes and technical colleges: free use of the powerful MPDS4 3D plant design software for research projects, or as part of the curriculum. The free MPDS4 licences for research and educational facilities offer the full functionality available in the commercial version, and can be requested via the CAD Schroer Website. 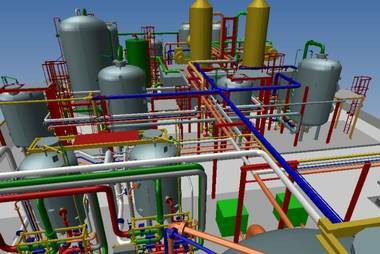 The MPDS4 PLANT DESIGN system is a database-driven suite of powerful, multi-user plant engineering applications, providing design disciplines for every plant design challenge, including 2D to 3D building layout and handling systems design, as well as P&ID driven process piping. Integrated interference and consistency checking and auto-routing of pipes, cables and HVAC systems allow designers to quickly create high quality concept designs through to fully detailed plans of entire installations. MPDS4 users can interactively create custom parametric catalog components, and conduct virtual 3D walk-throughs in their design environment at any time. “By providing free access to professional design software, we hope to provide students with a good start into a successful engineering future. We look forward to active collaboration with universities and valuable feedback from young engineers,” Michael Schroer concludes.